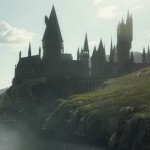 For its 20th stop on its worldwide tour, Harry Potter: The Exhibition opens at the Museu de les Ciències at La Ciutat de Les Arts i Les Ciències in Valencia, Spain starting April 13, 2019. You can purchase tickets here. The exhibition starts with a sorting hat experience, and then moves into exhibit rooms that replicate famous locations from the films, including the Gryffindor common room and boys’ dormitory; classrooms including Potions and Herbology; and even the Forbidden Forest. Each location is filled with authentic props, costumes, and creatures used in the films. The exhibit includes several interactive elements. You can toss a Quaffle ball in the Quidditch area, pull up a squealing Mandrake in the Herbology classroom vignette, and even tour a re-creation of Hagrid’s hut and sit in his enormous armchair. An audio tour is also available, which features behind-the-scenes commentary from the producers, prop designers, and costume and creature designers. Timed entry tickets are required, which cost € 13,90 exclusive of service charges. Are you going? Let us know in the comments and post to social media using the hashtags below.